All Studio 49 1600 Series metallophones come with a solid multi-chamber resonator boxes, flexible pins, and durable fabric covered cording under the bars. 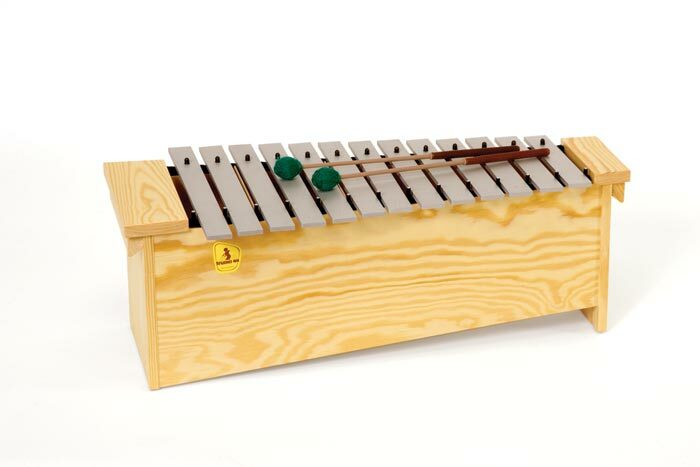 The compact design makes this instrument ideal for any age music classroom, and the integrated handles are perfect for easy transportation or for mounting the instruments on mobile stands. 16 bars 32 x 6 mm made of bright aluminum with a tonal range of C1 – A2. Includes F# and Bb bars and 1 Pair of S 7 mallets. 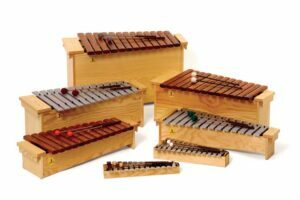 Fauna W. loves STUDIO 49 because the glockenspiels have the most lovely sound!